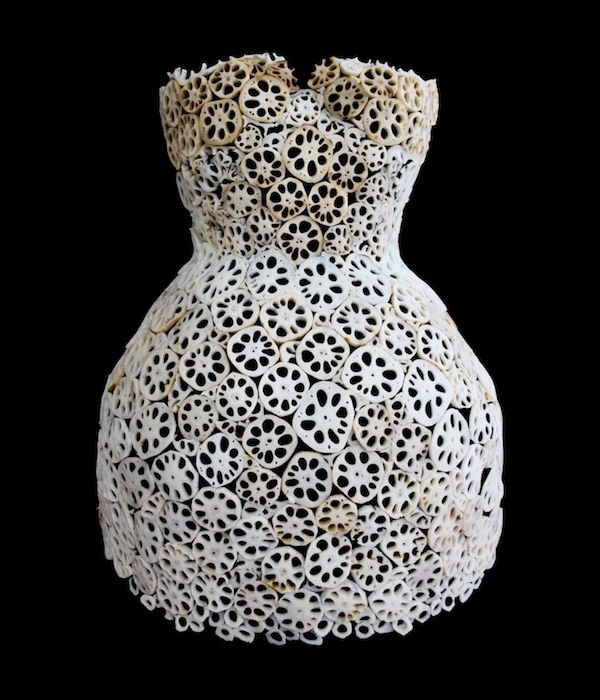 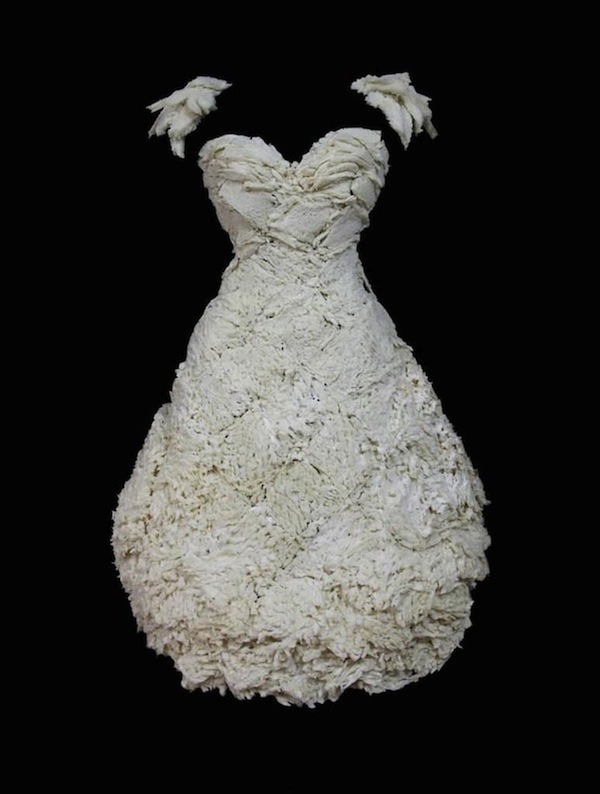 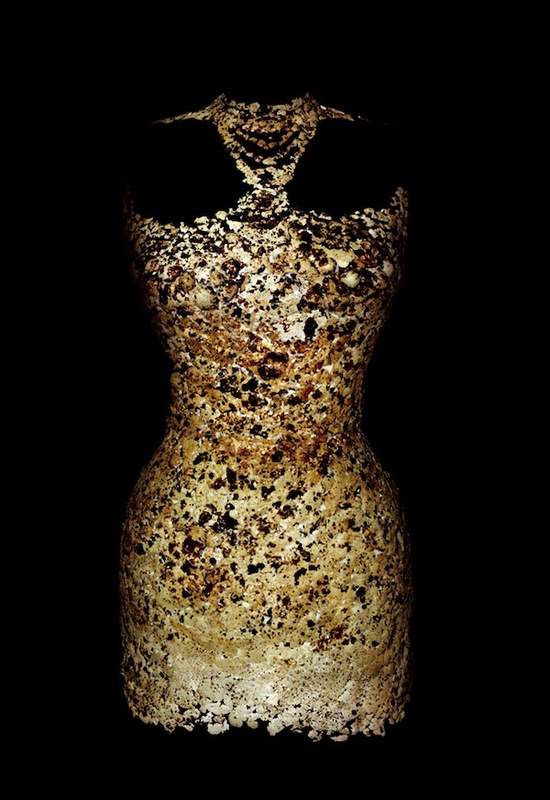 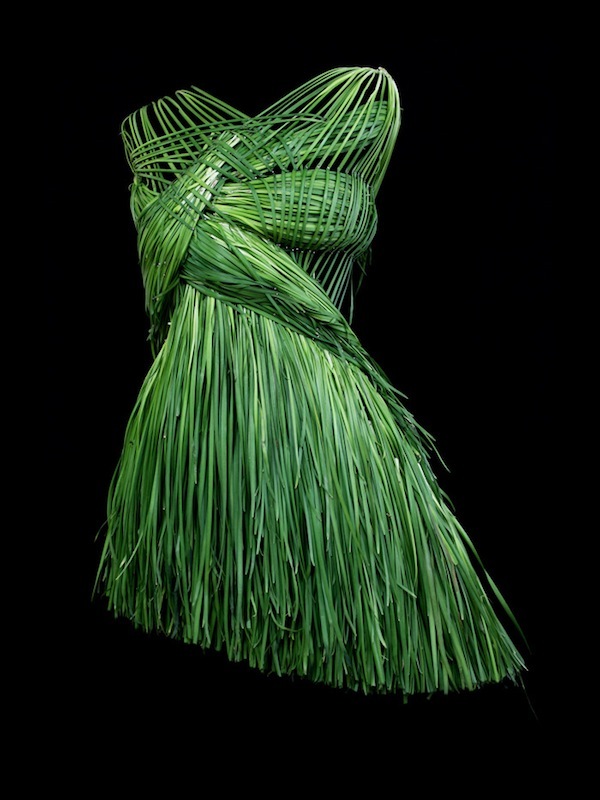 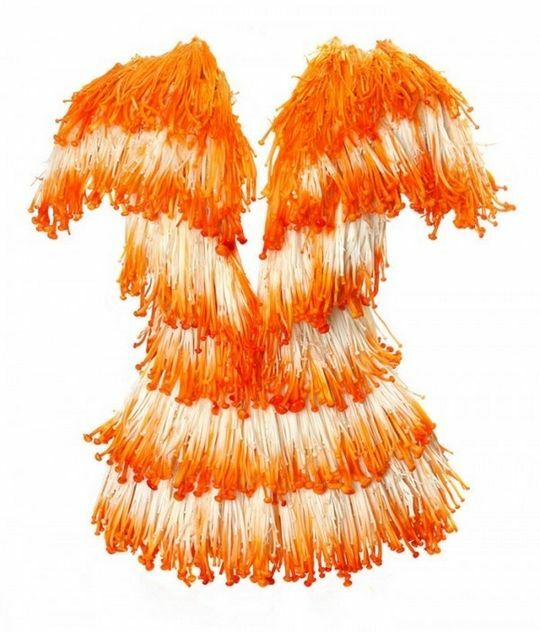 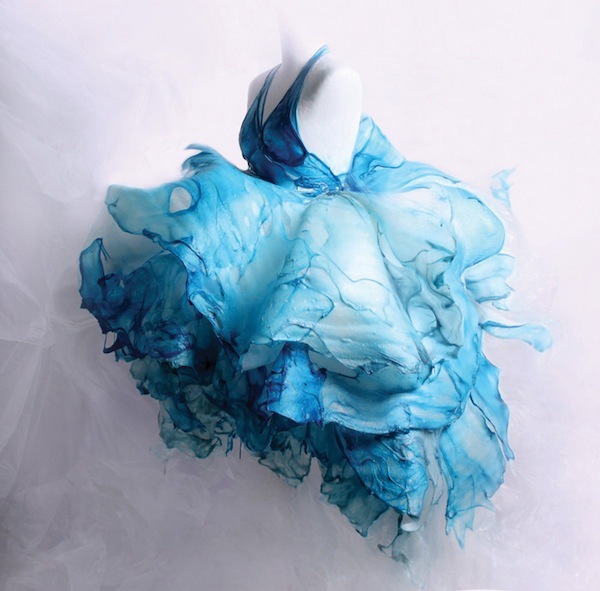 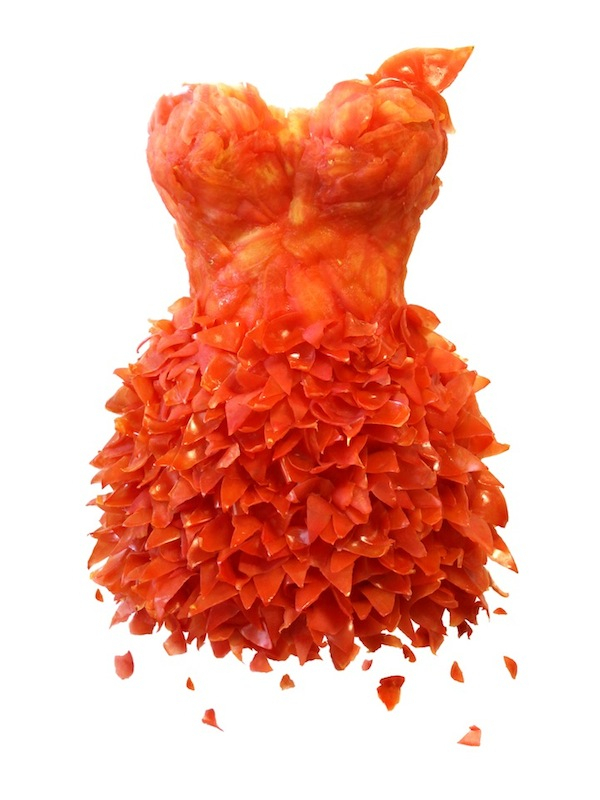 These dresses are made from real consumable goods. 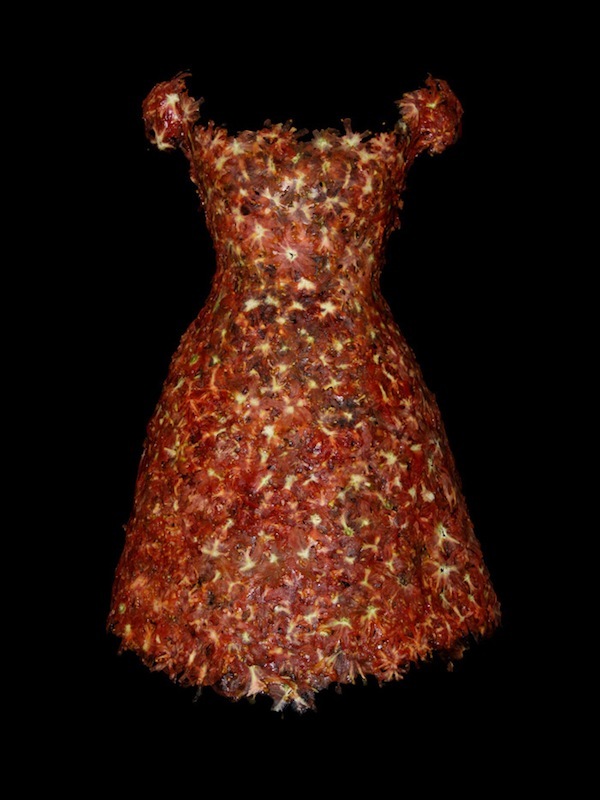 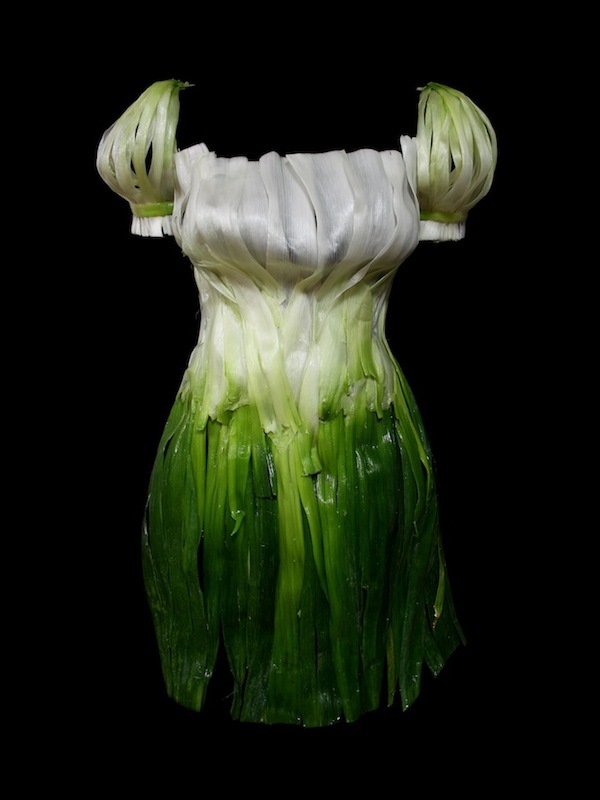 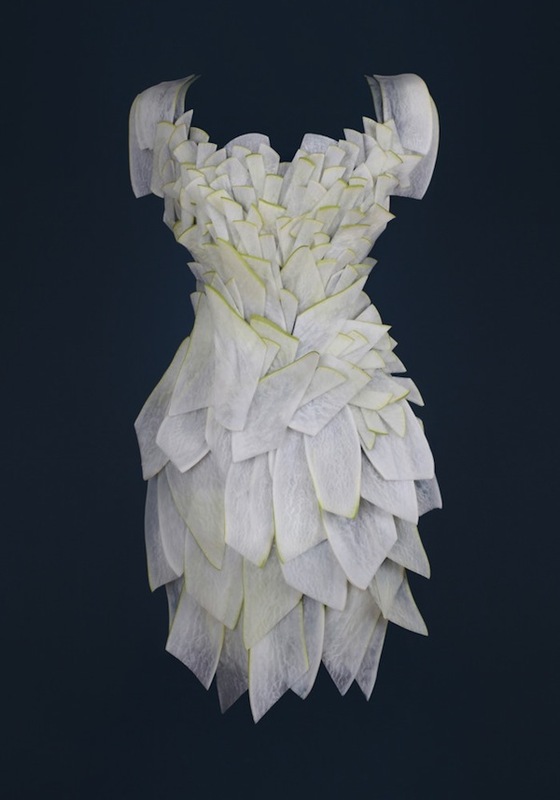 Korean designer Yeonju Sung has created these fascitating dresses and outfits from regular food items that we find in any grocery stores such as fruits, vegetables, meat, even bubble gums... 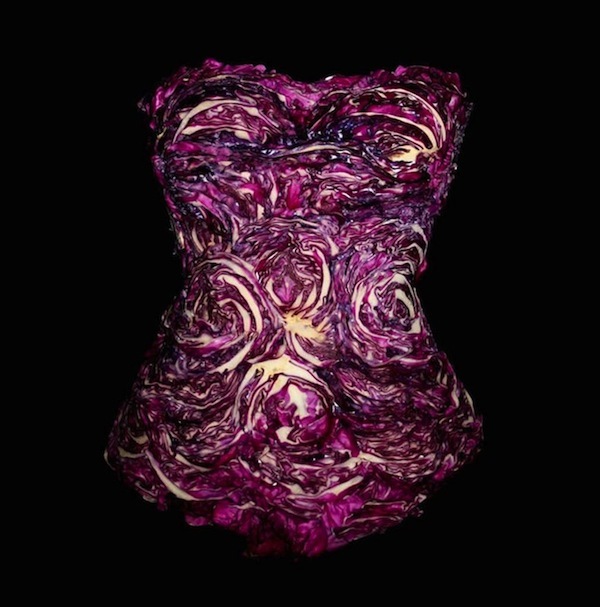 Taking advantage of the vibrant natural colours and textures of especially the fruits and vegetables, she has come up with such fascinating and creative designs... 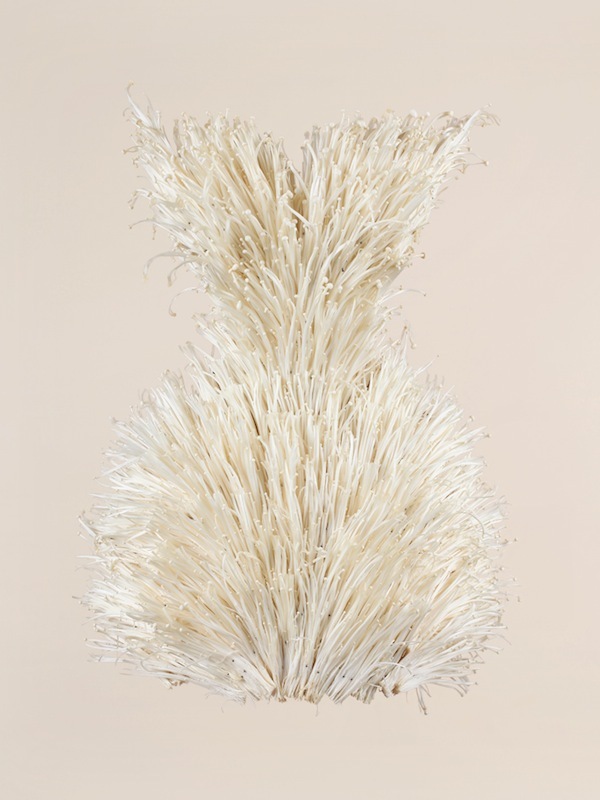 Simple, subtle and surreal! 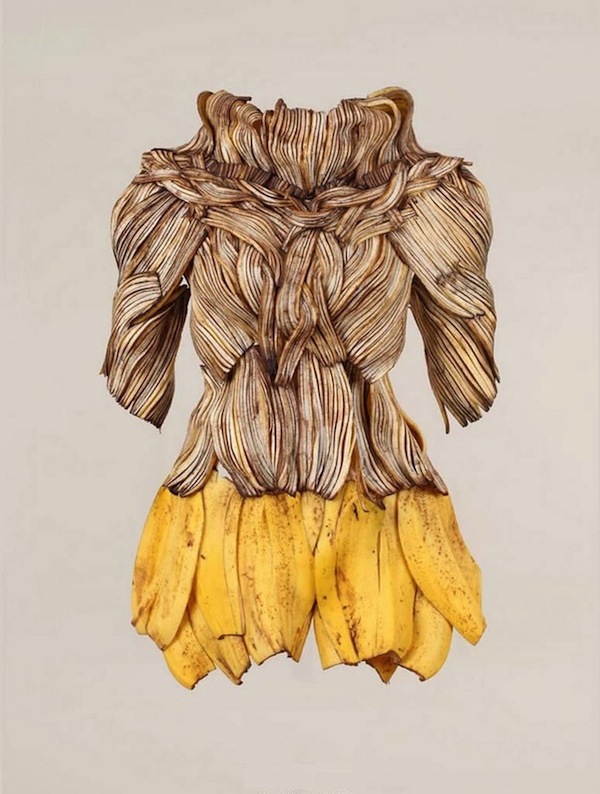 Very impressive indeed! 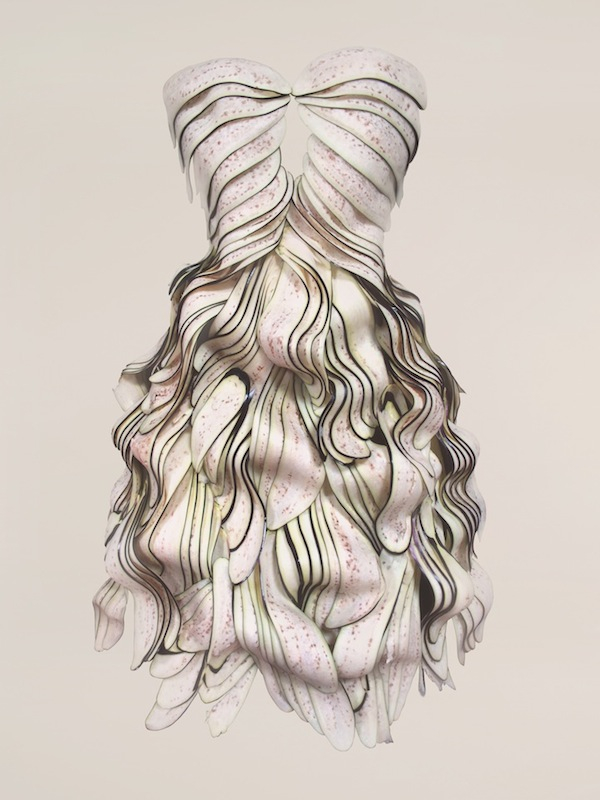 Check her and her designs out in her website here.